BASE jumping is probably the most extreme of extreme sports. The thrill of the wind blowing through your hair as you launch yourself from a platform, with just a fraction of a second to decide when to pull your chute and where to land doesn’t compare to anything else in the world. BASE jumping really is only a sport for the adrenaline junkies among us. It is perhaps no surprise that there have been many base jumping deaths throughout history. However, before I get to them, let me explain to you what BASE jumping actually is, besides throwing yourself of the nearest building without having suicidal tendencies. The “BASE” in BASE jumping refers to the four structures that can be used to perform BASE jumps. B stands for Buildings – skyscrapers, tower blocks, etc. A stands for Antennas, such as masts. S stands for Spans, usually bridges. E stands for Earth, so these are natural phenomena such as cliffs and mountains. If, as a BASE jumper, you can demonstrate that you have successfully jumped from each of these structures, you are allocated a BASE number, which is in ascending order, so you know exactly how many people before you have achieved the same thing. There’s a whole bunch of stuff you need for BASE jumping and much of this has come about because of the many base jumping deaths. It is a positive thought that the many BASE jumping fatalities have not been in vain and that important lessons have been learned to improve the safety of us daredevils! The equipment you need for BASE jumping includes, of course, important things such as your chute and harness. However, I personally feel that some survival equipment is also very important. You may, for example, have a very unfortunate landing. This can be a particular problem if you are jumping off earth structures, as you could be stuck at the bottom of a cliff for quite some time before someone can come and help you. You can, of course, choose to order your survival equipment from BASE jumping sites, but I have purchased most of my smaller items from places such as Amazon. My own list of additional equipment includes a penknife, a torch and a trauma pack. Let’s discuss some of the most noteworthy BASE jumping deaths throughout history. The most impressive one, for me, is the very first BASE jump ever performed. A tailor called Franz Reciholt had spent a lot of time designing a backpack parachute and wanted to test it. He had received permission of the French government to launch a dummy of the Eiffel Tower carrying this backpack. Of course, in true daredevil BASE jumping style, Franz had no intention of ever using a dummy and jumped himself. Unfortunately, his invention failed and he fell to his death, making him both the first ever BASE jumper and the first ever BASE jumping fatality. There are many other noteworthy BASE jumping deaths, some of them include BASE jumpers who were very experienced and even had BASE numbers. 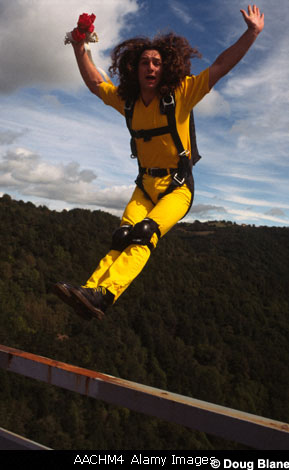 Frank Donellan was the first BASE jumping fatality of someone who held a BASE number. Frank’s chute malfunctioned when he jumped off a 330 foot static structure. Because of this BASE jumping death, it became obvious that checking your equipment is vital, regardless of how experienced you may be. Many BASE jumpers flock together every year for Bridge Day. Bridge Day is a day every year where BASE jumping is legal for six hours off the New River Gorge Bridge in Fayetteville, West Virginia. For this short period of time, BASE jumpers who have registered are allowed to BASE jump off this impressive bridge. 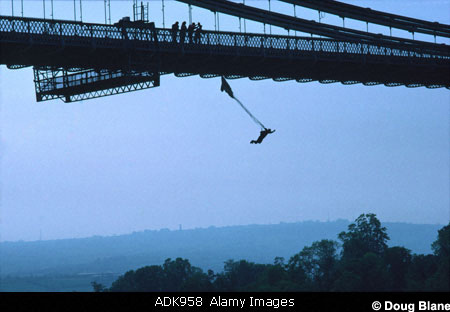 Just because it is legal, however, does not mean that things haven’t gone wrong and there have been countless accidents and quite a few deaths following Bridge Day BASE jumps. 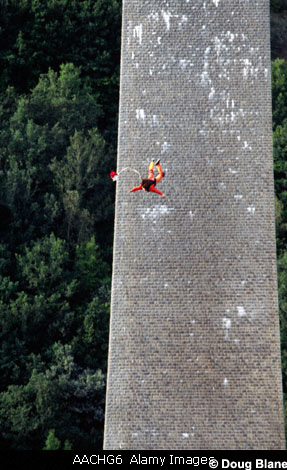 The first of these BASE jumping fatalities was Michael Williams. Michael’s main chute opened too slowly and he released his reserve too quickly. Because both of his canopies were open he had an unfortunate landing and landed in the river. Only one rescue boat operates on Bridge Day and it was already engaged in the rescue of another BASE jumper. Michael had signalled that he was alright and made no attempt to get out of the water, hence it was assumed that he was ok. However, his reserve canopy was caught up in the swift current and pulled him under water, where he drowned. Again, this BASE jumping death was not in vain, as BASE jumpers now do not release their jumpers until the rescue boat is free and ready to pick them up. One of the ultimate BASE jumping sites is Trollveggen in Norway. It is highly illegal to perform a BASE jump from this site due to it being so dangerous. In fact, there have been eight BASE jumping fatalities at this site to date. The first BASE jumping death at Trollveggen was Carl Boenish. Carl was very much active in promoting BASE jumping as a respectable sport that was safe for those who know what they are doing. Carl and his wife had been performing BASE jumps all week for a television programme that was documenting BASE jumping and decided, after filming, to have one last jump. Rather than jumping from the same point they had used all week, he jumped from a different spot, where he was unable to pass an outcrop and fell to his death. There is conflicting information on how this BASE jumping fatality actually occurred, with some suggestion there was photographic and video evidence of Carl’s death, but that this was destroyed by the cameraman out of respect. There are many other BASE jumping fatalities that could be reported on and entire websites have been dedicated to counting the number of BASE jumping deaths. However, an exact number is hard to determine, because many BASE jumps are done illegally and are not reported beforehand, hence if they go wrong, nobody will know about it. Still, live for the thrill! This entry was posted in Air Sports, Base Jumping and tagged Base Jumping, Fatality. Bookmark the permalink.